When Drama believes he’s had a heart attack in S06E11, Scared Straight, he is rushed to a local hospital and put under the care of Ron Marasco’s character. The doctor walks into Drama’s room near the twenty-minute mark and offers his diagnosis before complimenting Vince on his Gatsby film and exiting. 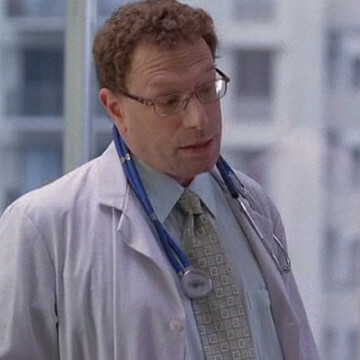 Marasco has a small part in 2005’s The 40-Year-Old Virgin as well as in episodes of Lost, Nip/Tuck, and FOX’s Bones.